Many of the articles about students and studying talk about how to pass that next exam or how to write a better essay. These articles provide a wealth of information for students. Still, students should recognize that there are a number of bad studying habits that can result in mediocre or failing grades. This article will focus on some of the bad studying habits that you should be aware of. By avoiding these bad habits, you can concentrate better on raising your grades, being more productive, and achieving success in school. Many people make decisions without preparation or planning because they think that it can save their time and their effort. The truth is, if you take your time to think things out, you can end up saving yourself a lot more time and energy. Whether you are deciding on buying a house or planning when to read that chapter for tomorrow’s lesson, you should plan and prepare well. Set aside a little time to plan your studying schedule for your classes. This will help you keep up in class and still have enough time for fun with your friends and family. Your classmates, teachers, relatives, and counselors can help you make schedules and plan ahead for school and your daily activities. A lack of planning and preparation can easily lead to problematic time management. One of the most common results of poor time management is procrastination. Unsuccessful students always take their time by procrastinating instead of taking their time to plan ahead. By making proper studying schedules, you can become more productive and successful in school and in your day-to-day life. If you are having a slow day, or if you cannot get yourself to study, try to do something else that is productive. Instead of studying, you can clean your desk or organize your working area. The idea is to make the most out of your time, instead of wasting it away by procrastinating. No matter what level of schooling you are in, you have probably come across students who are contented with passing a subject instead of doing well in it. This is a common problem that can have a great impact on your grades and your performance in general. Always try to push yourself to do your best in every task. Whether you are facing your final exams or just finishing a simple homework assignment, strive for high grades. Don’t think of exams or papers as trivial tasks you have to do because you’re a student. Look at the big picture and remember why you’re studying in the first place. This will help to set your mind on success and progress. Another bad habit that unsuccessful students tend to practice is to focus on the negative. By dwelling on a failed test or a poorly written essay, you are essentially holding on to something that you no longer need – junk. One important lesson that you can take from school is to recognize your mistakes, learn from them, and do better next time. Take these experiences in stride. If you get a poor grade, tell yourself that you will do better next time and take the steps to follow through with your decision. These bad studying habits can easily creep into your academic life. This is why it is always important to know how you can avoid some of these habits. Try to understand the repercussions that bad studying habits can have on your academic life and your life in general. 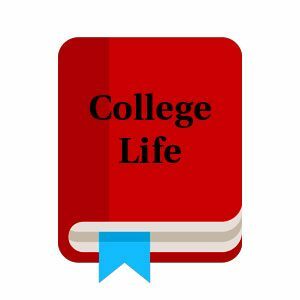 While grades do not account for everything in life, they can certainly help you make a smoother transition throughout college, graduate school, and even in your professional life.